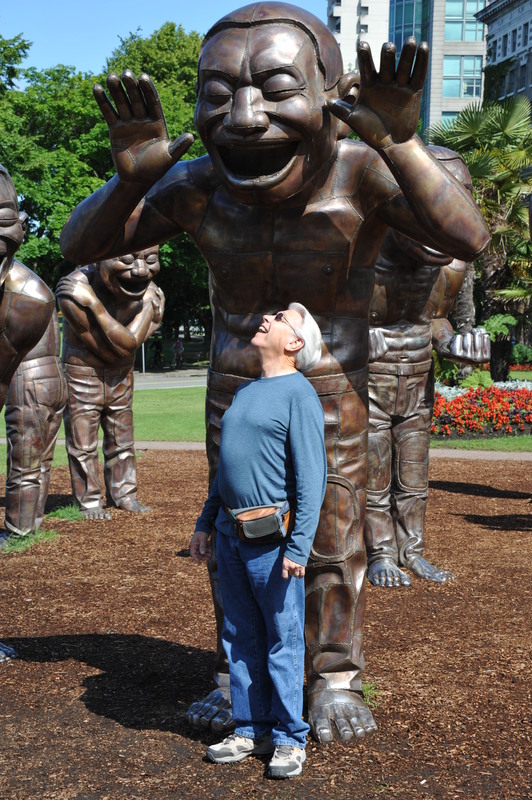 The sculpture is called “A-Mazing Laughter”, and it was created by Yue Minjun of Beijing, China. I chose to process this particular shot in black-and-white to concentrate on the texture and seams in the bronze, rather than the color of the metal. It looks like a patchwork quilt, only welded together instead of sewn. I also wanted to isolate just one of the figures, rather than the entire display. Why? I don’t know, except that it allowed me to see details that I would have missed by trying to capture the entire scene. 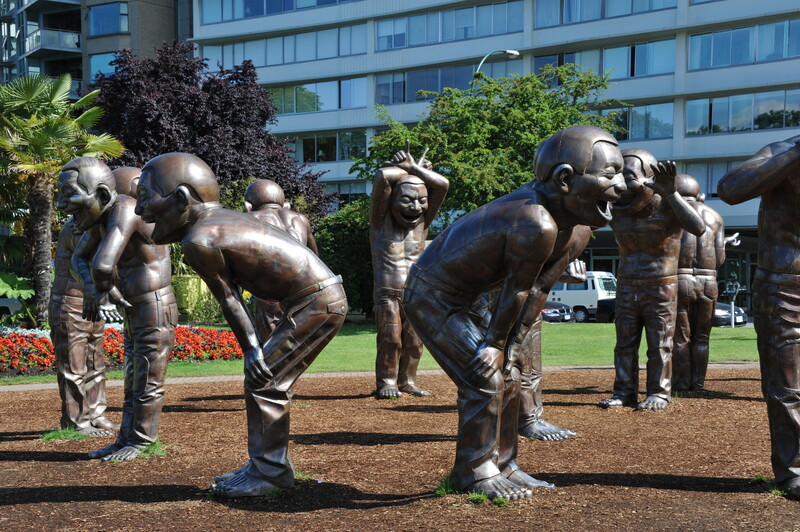 If you’re interested in learning more about the display, here’s a link to a website that talks about the artist, the design, and how it came to be located near the beach on English Bay in Vancouver. 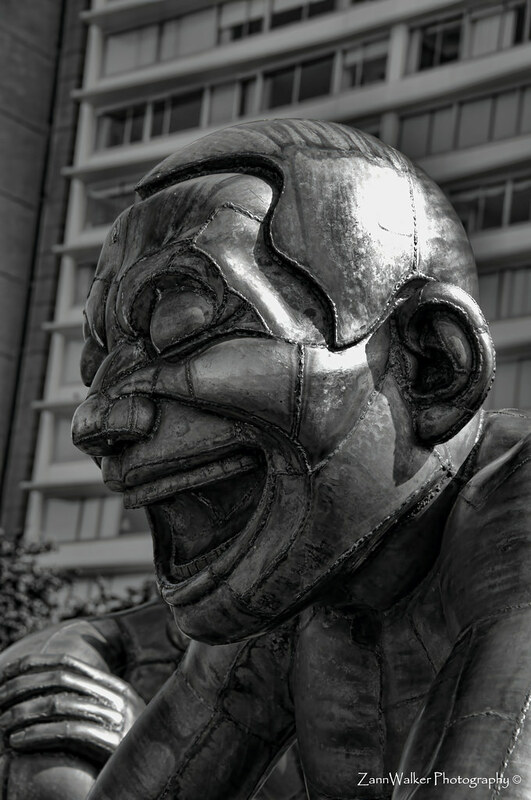 This entry was posted in Commentary, Information and tagged 28-300mm, B&W, camera, Chinese, D700, English Bay, Nikon, Paint Shop Pro, photography, sculpture, Vancouver. Bookmark the permalink. great photos…..love the black and white as well…..isn’t vancouver great too?